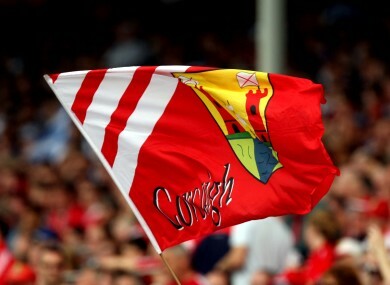 The Rebel County have named their side for Wednesday night’s game. GER COLLINS, BROTHER of Cork senior goalkeeper Patrick, has been named between the posts for the Rebel minor hurlers that face Waterford in their opening game in the Munster championship tomorrow night. Collins follows in the footsteps of his brothers Patrick and Matthew who have also both previously been Cork minor hurling goalkeepers. Another brother Michael lined out for the Cork U21 hurlers in the 2014 Munster final loss to Clare. Corner-forward Liam Healy is the only player from last year’s Cork side that lost out to Limerick in the Munster minor semi-final, who is named to start here. Castlelyons Niall O’Leary is the team captain. Waterford have named three survivors in their team from the side that lost out to Tipperary at the playoff stage in the Munster minor hurling championship in 2015. Goalkeeper Billy Nolan, defender Darragh McGrath and attacker Jack Prendergast are the players in question. Their team will be captained by Ballygunner’s Michael Mahony. The game takes place at 6.30pm in Walsh Park. Email “Cork senior goalkeepers' brother in minor side as Waterford name three players from 2015 team”. Feedback on “Cork senior goalkeepers' brother in minor side as Waterford name three players from 2015 team”.